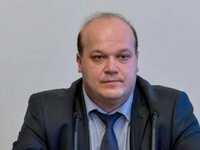 Supplies of power-generating coal from the United States to Ukraine makes it possible to reduce dependence on imports of energy resources from Russia, Ukrainian Ambassador to the United States Valeriy Chaly has said. "Deliveries of anthracite coal and other components [...] mean diversification, a decrease in dependence on Russia. This is a commercial project, this is profit, so I think it will continue to develop as normal," he said at a press conference in Kyiv on Tuesday. Ukraine in 2018 plans to increase imports of power-generating coal by 11.3% (by 573,900 tonnes) compared to 2017, to 5.669 million tonnes. It is planned to import 4.882 million tonnes from Russia (up 29.6% from 2017), 664,000 from the United States (up 47.7%), and 123,000 tonnes (down 83.8%) from South Africa.